Rarely available! North East corner unit at the luxurious “Chancellor” by Polygon. 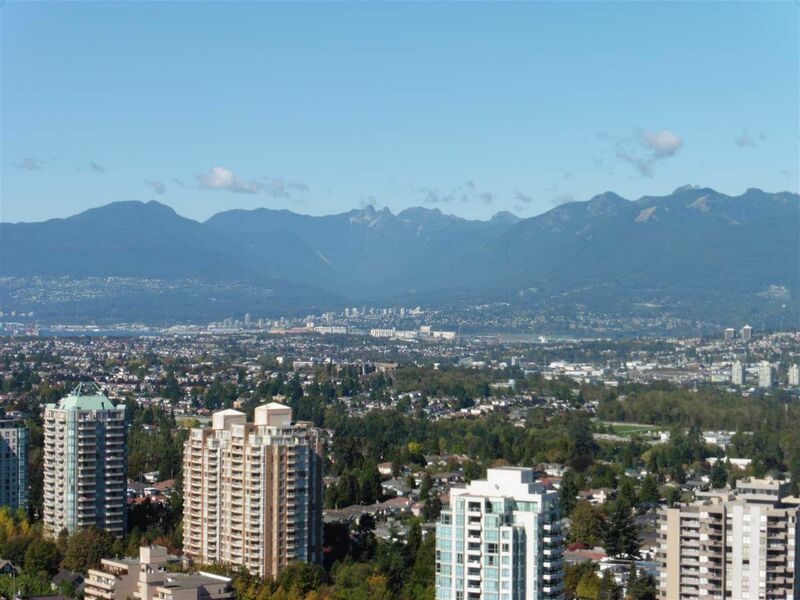 You’ll love the breathtaking views of Downtown, North Shore Mountains, Deer Lake and Mt. Baker. Spacious two bedroom, two bathroom suite featuring (Polygon custom upgrade) top quality wood-style laminate flooring throughout the entertaining sized living and dining rooms and the open concept gourmet kitchen. Stainless steel appliances. Quartz countertops in the kitchen and marble in the bathrooms. High 9 foot ceilings. Separated bedrooms for privacy. Balance of 2-5-10 NHW. Like new condition. Gorgeous social lounge. Inviting bright exercise centre. Great location only steps to Metrotown, T & T Supermarket, Bonsor Community Centre a a short walk to schools. It doesn't get any better than this! Excellent value!